The border between North and South Korea may become automated on the south side. South Korea's Minister of Commerce Industry and Energy, Chung Sye-kyun, announced that they are opening a new era by replacing human soldiers with armed robots along the militarized border with the North. The guard robot can fire a machine gun or rubber bullets. Its visible and infrared vision systems can spot moving objects from four kilometers (2.5 miles) away during the day. It recognizes different objects from 2 km and it can identify friend from foe from 10 meters away. South Korea could deploy hundreds of the robots along the 155 mile (250 km) border, but they have not committed to the plan yet. They also said that they are kicking off a project to make robots that can perform more military tasks such as roving patrols, mine removal and even combat soldiers. 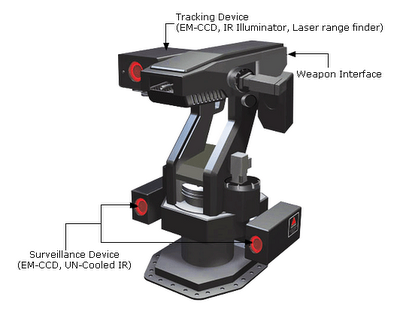 The guard robot was developed by a consortium led by Samsung Techwin and Korea University over three years.